As Rani Lakshmi Bai, Kangana Ranaut Finally Looks Like The Queen She Really Is! 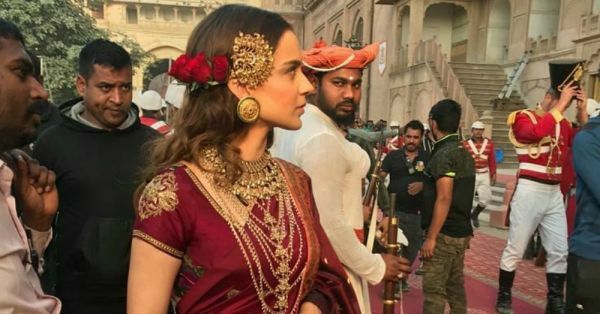 Kangana Ranaut has started shooting in Bikaner for her upcoming historical period drama, Manikarnika: The Queen Of Jhansi. 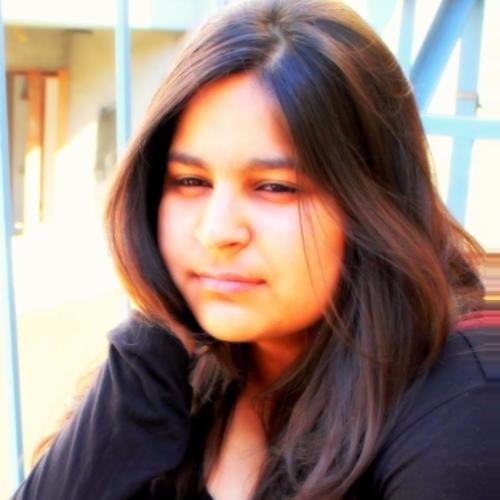 The actress is shooting the scenes at the Junagarh Fort in the city of Rajasthan and her look has gone viral on Instagram for all the right reasons. The Queen actress looks royal and fierce as Rani Lakshmi Bai. In her latest look at the sets, she was dressed in a wine red saree in Maharashtrian style with traditionally notable jewellery. Kangana’s back-in-time look is making us even more curious about the story she’s about share on the big screen. After witnessing Deepika Padukone’s style doing justice to Rajputi culture, it would be interesting to see all the looks of Kangana Ranaut as the queen. Her saree styles could easily be our next obsession. Here are a few other recent looks of Kangana from the sets of Manikarnika: The Queen of Jhansi designed by popular Bollywood fashion and costume designer, Neeta Lulla. Just like Padmaavat, Kangana’s film was also in troubled waters with Brahmin Mahasabha protesting against it. They claimed that makers are distorting the history. Karni Sena too joined the group. Although later the air was cleared by the actress and the makers. The film is now set to release in August and till then, we can’t wait to see more of Kangana’s ornate Indian looks and jewellery!